CrossFit CDA is located in the heart of beautiful downtown Coeur d’Alene in a classic brick-and-timber building. We pride ourselves on our amazing community of athletes: an amazing mix of all ages and ability levels, working together towards health and wellness. 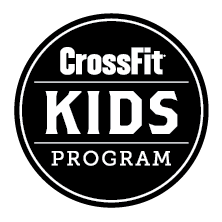 Idaho’s first CrossFit Affiliate, CFCDA features five full-time CrossFit coaches to help you reach your goals. With the most Level 2 and 3 certified CrossFit coaches in the region, you can be assured of experienced instruction, every day. We feature two specific programming options, available at every class to better fit your needs- and with many extras included with memberships like yoga, endurance training, and olympic weightlifting, there is no doubt that with us, every class will be the best hour of your day!